Glass blowing evolved from ancient Rome, to the Middle Ages, through the Renaissance. Mexico is known the world over for its master craftsmanship in glass blowing, too. The very first glass pieces produced in North America were created in Puebla, Mexico in the 16th Century by artisans brought by the Spanish from Europe. Prior to the late 1800s, though, glass production was mostly centered on practical items such as jars, bottles, and panes of clear glass for windows. Enormous glass jugs called damajuanas were a popular item for storing small batches of tequila, then known as vino mezcal. These damajuanas allowed tequileros to easily transport their distillates by ox carts from the factories to the markets or tabernas (taverns) in neighboring towns. Today, when David Reyes offers to share his Private Label Reserve Blanco with a few well-chosen friends, the shape of the bottle doesn’t matter. We’ve all heard or read of a platinum and diamond encrusted bottle of six-year-old anejo tequila that sold for millions. You may have even seen or bought aged expressions of tequila in crystal decanters or ceramic carafes that sell for hundreds of dollars. With more and more so-called High End brands crowding the shelves, one wonders whether the liquid inside is of any value. David Reyes is nothing, if not practical. He understands that pretty containers are meaningless unless the tequila inside measures up. More often than not, ornate bottles, as well as barrel aging and the use of additives or colorants, disguise the flaws of imperfect tequila. Tequila cognoscenti demand to see what they’re paying for. And, for them, David Reyes insists on full transparency. The true virtue of Tequila David Reyes Private Label Reserve Blanco, is its authentic agave nature brought forth by the hand of the maker. 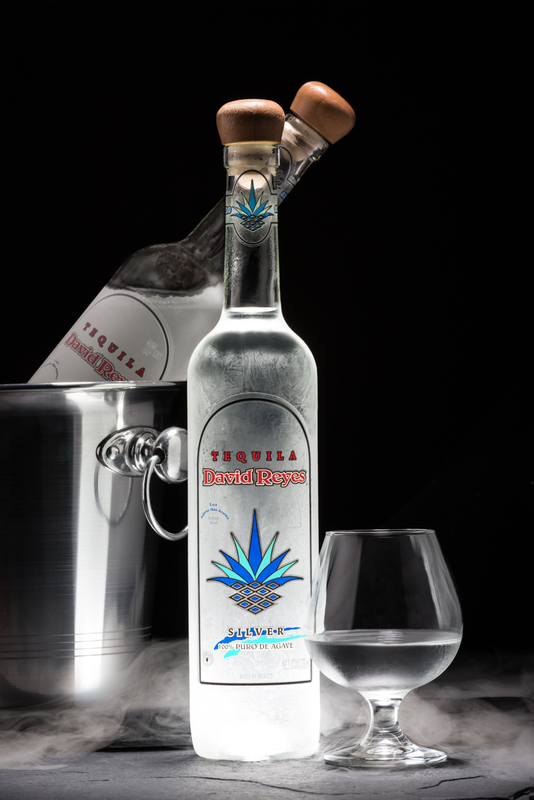 Bright, pure, and pristine in color, a bottle of Tequila David Reyes is sophisticated in its simplicity. 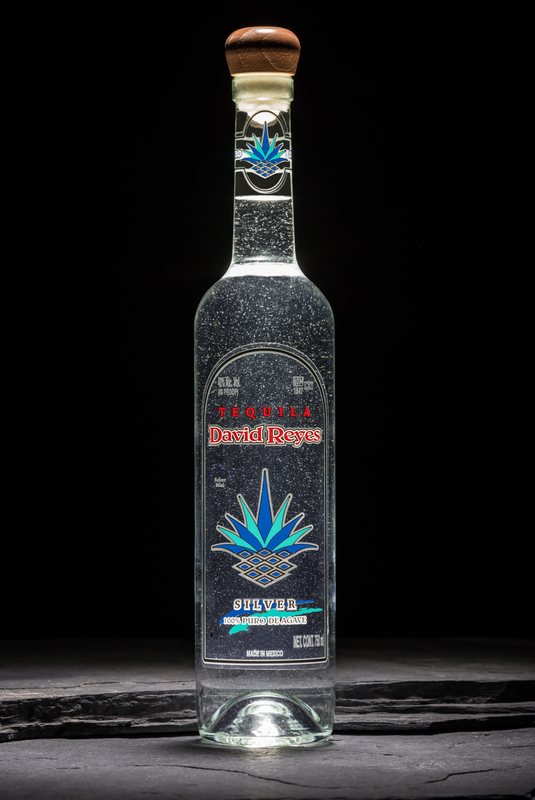 We suggest that you turn your sealed bottle of Tequila David Reyes upside down, and then right side up again. Admire its platinum body as it forms lingering bubbles inside called perlas (pearls). Then, pour yourself a serving of Tequila David Reyes and watch as the perlas create a necklace around your favorite drinking vessel. Rather than sourcing cheaper glass bottles from Europe or Asia, every bottle of Tequila David Reyes is proudly made in Mexico using century’s old glass making techniques. The Private Label Reserve Blanco tequila is then hand-bottled, hand-corked, and hand-labeled using David Reyes’ own hand-designed insignia. It is jewelry for the soul. Should you choose to adorn yourself or a friend with Tequila David Reyes Private Label Reserve Blanco, click here.